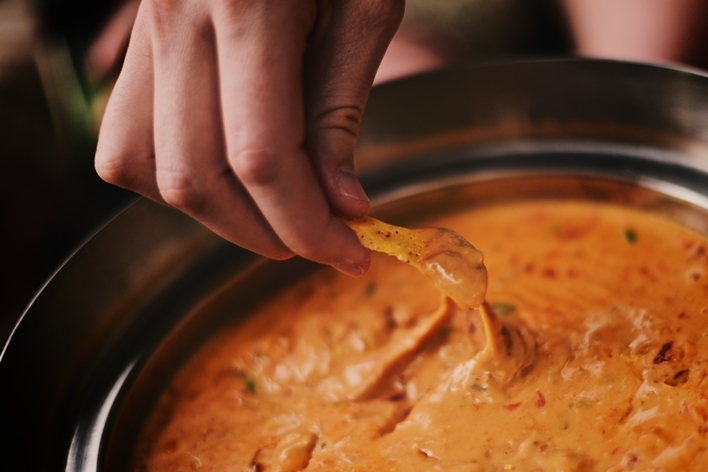 We all love the cheesy dip that comes along with nachos and can team it with several rounds of beers on a night out. At home, most of us settle for buying store-bought versions that are loaded with preservatives, artificial additives, plus a whole lot of fat which add unnecessary calories and heaps of guilt. In a bid to eat healthy, here are four of my go-to recipes when it comes to home-made dips. They’re high on flavour and use simple, easily available ingredients. You can modify the quantity easily, depending on whether you’re making it for yourself or while hosting friends. Easy to store, you can pair them with a variety of accompaniments from the classic celery sticks to superfood snacks like ragi chips. If you want to trick yourself into snacking healthy, this dip is something you must learn to make. 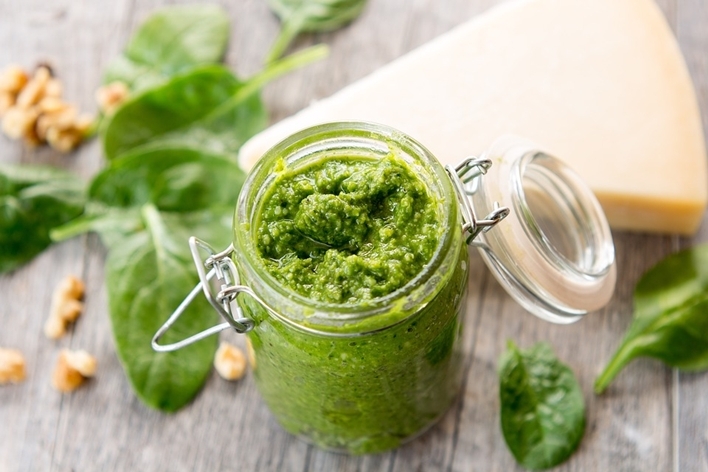 With healthy spinach, cheese and dill, this light and flavourful dip packs in iron, magnesium, calcium and essential vitamins. 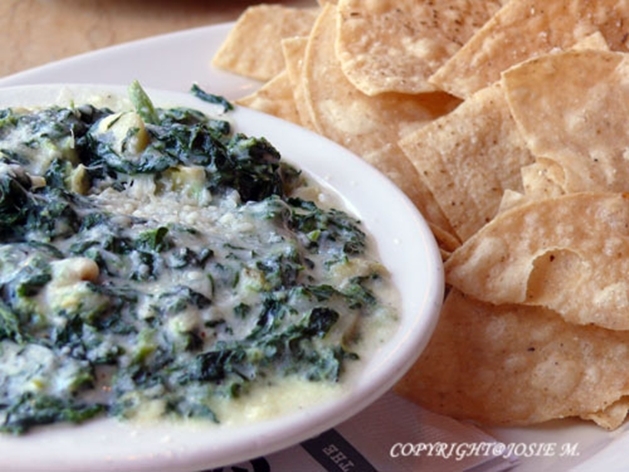 Best served chilled, this dip can be refrigerated in an air-tight container for up to two days. Pair with whole-wheat breadsticks or crackers, ragi chips or soya sticks. Method: Add youghurt, sour cream, feta cheese and garlic in a food processor. Process until it forms a smooth mixture. Take mixture into a medium-sized bowl, stir in spinach, dill and black pepper. Mix well, cover and chill until serving. There’s barely anyone who doesn’t enjoy a plateful of pasta heaped up with arrabiata sauce. But on days when pasta seems like too much of an indulgence, bring out some whole-wheat crackers and whip up this fragrant, filling dip within minutes. With just a little bit of cooking involved, we recommend you make this in bulk and keep it handy. Method: Boil the chicken and shred it to tiny bits when done (do not throw away the chicken stock). In a saucepan, heat oil on a low flame, add chopped garlic and sautee till golden brown. Add in the tomato puree and chili powder, cook on low flame for 3 minutes. Pour in a small amount of the chicken stock, add in the shredded boiled chicken and let simmer on low flame for another 2 minutes. Take off heat and season with oregano, pepper and basil. Cool and store in airtight container. Can be served warm or chilled. PS: When making in bulk, store leftovers in the freezer (max 3 days), thaw and heat in microwave before serving. With its high dietary fibre content, broccoli also brings in a whole load of vitamins, omega-3 fatty acids, zinc, protein, magnesium and sodium. Yes, like everyone we hate broccoli too, but will agree to eat it if cottage cheese is involved. 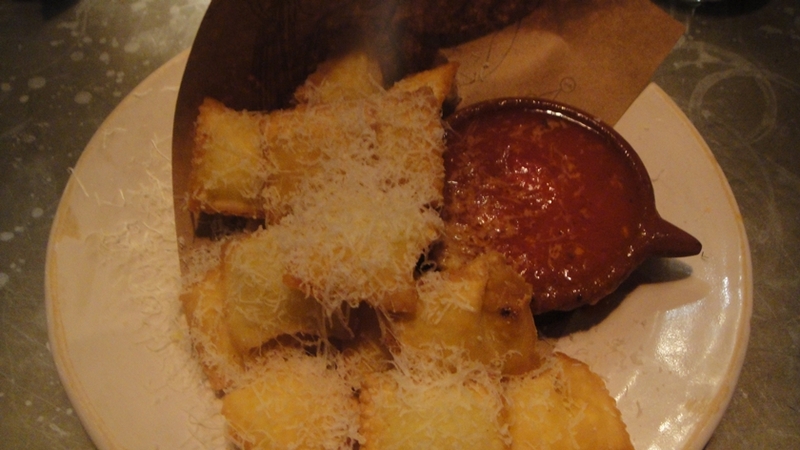 And to make it a little more palatable, the dip uses fresh basil for added flavour and goodness. You’ll need: 400g broccoli (thawed if frozen or washed and cut into florets if fresh), 1 cup low fat cottage cheese, 1 tbsp chopped fresh basil, salt to taste. Method: Add broccoli, cottage cheese and salt in a food processor and puree until smooth. Spoon into a bowl and fold in the chopped basil. Serve with pita bread, lavash or ragi chips. 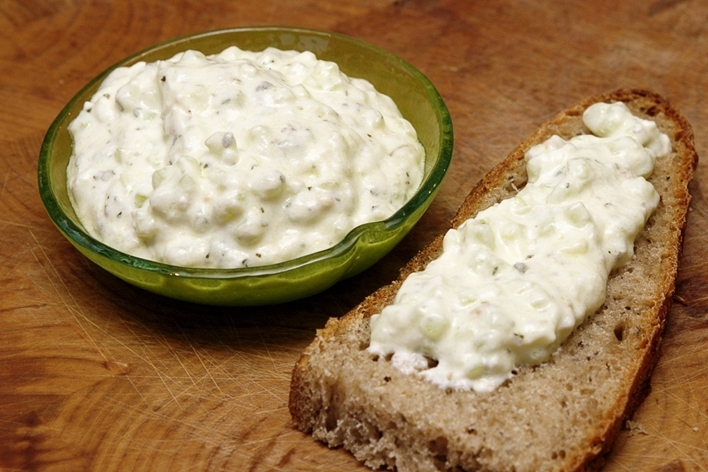 Also known as tzatziki, this Greek dip is commonly added in Greek gyro wraps or served alongside skewered meats and kebabs. Easy and hassle-free, the dip requires a handful few ingredients and pairs wonderfully with just about anything like sliced fresh veggies (cucumber, carrots, celery sticks), pita bread, crackers as a snack or as a side with appetizers like tikkis, wraps and kebabs. Method: In a medium-sized bowl, combine yoghurt, sour cream, grated cucumber, dill, garlic and pepper. Add salt pepper and adjust the taste. Serve immediately or refrigerate (maximum 3 days).